Metso | Wheeler Machinery Co.
Wheeler Machinery Co. proudly offers Metso crushing and screening products. The powerful combination of Caterpillar machines plus industry-leading crushing and screening equipment ensures maximum profitability and production from your material processing operation. Metso offers well-known brands such as Nordberg, Lokotrack, Barmac, Symons, Svedala and Superior. For more than a century, Metso has been a pioneer in the design and building of innovative crushing and screening equipment for the mining and aggregate industries. Metso crushers, screens, vibrating equipment and rock crushing plants will increase performance and productivity at your job sites. They will also deliver the 24/7/365 reliability you demand to keep your projects on track and avoid unproductive downtime. With Wheeler being a full-service Metso dealer, you can expect excellent parts availability, knowledgeable service technicians, rental and financing options. You’ll receive the same level of customer service and know-how you’ve come to expect from Wheeler. Metso crushers and mobile crushing plants will reduce even the most challenging materials with speed and efficiency. Options available from Wheeler Machinery Co. include the revolutionary Nordberg jaw crushers that will meet the stringent requirements of various aggregate, mining, quarrying, recycling and industrial applications. Benefits provided by these advanced crushers include a steeper cavity design, increased reduction ratio and a long and linear stroke. The patented maintenance platform simplifies machine servicing. Our Metso crushing equipment lineup also includes Nordberg impact crushers that combine a heavy rotor design, high-quality materials that minimize wear resistance and an innovative crusher chamber configuration. The result is a technologically advanced crusher that provides enhanced capacity and product quality, along with lower long-term operating and ownership costs. We offer an extensive selection of track mounted and trailer mounted Metso screens for mining and aggregate applications. Highlights of our inventory include Lokotrack mobile screens that combine compact transportation dimensions and top-quality components to deliver unmatched efficiency and the lowest possible sustainable cost per ton. Interchangeable screen meshes provide the flexibility to adapt the machine’s performance to the task at hand. You’ll also find a broad assortment of Metso portable screens that are the ideal solution for applications that require the accurate categorization of materials after crushing. The modular design provides a fast, easy job site installation, while the legendary Metso reliability ensures long-lasting performance in even the most challenging work environment. Features include easy push-button starting and stopping, as well as an electric drive that minimizes energy costs. Why Should You Purchase Your Metso Crushers and Screens From Wheeler Machinery Co.? Experience is essential when choosing something as vital to the success of your business as an equipment supplier. 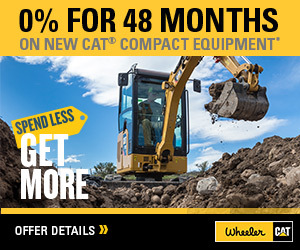 Wheeler Machinery Co. has been proudly serving the heavy equipment needs of companies throughout Utah since 1951. We have a proven track record of offering high-quality products backed by the best service in the state. Our team of sales specialists can assist you in finding the ideal Metso screening or crushing equipment for your applications and budget. 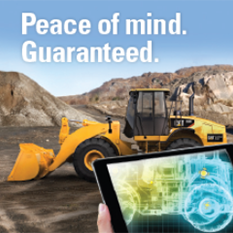 We understand the mining and aggregate industry in Utah, and we know which machines will enable you to maximize your job site productivity — and project profitability. 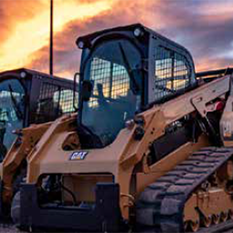 Wheeler Machinery Co. has convenient locations across Utah, as well as a branch in Ely, NV, to serve you. Feel free to stop by for a closer look at our current inventory of new Metso screens and crushers and meet our team. You can also give us a call at 801-974-0511 or contact us online for more information and a no-obligation product quote.